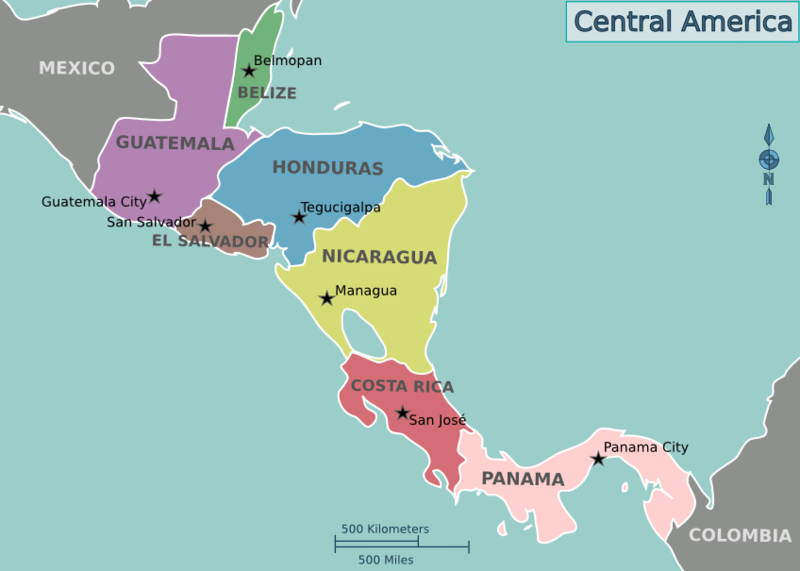 Does Central America Need a Marshall Plan? Since 2011, over 50,000 unaccompanied children from Honduras, Guatemala, and El Salvador—the so-called Central America’s “Northern Triangle”—have crossed the U.S.-Mexico border. It’s more than likely that 20,000 more children will get apprehended by border authorities by the end of this year. More than an immigration issue, this flood of children is a humanitarian crisis. Refugee centers in Texas and other neighboring U.S. states have exceeded capacity. Now, makeshift camps with sub-standard sanitary conditions house a growing number of young people. Hoping to save their own children from gang members across Central America who are actively recruiting kids for drug trafficking or violent activity, parents are sending their children, unaccompanied, on a path towards undocumented migration into the U.S. There doesn’t seem to be an easy way out. Proposing a “mini-Marshall Plan,” Honduran President Juan Orlando Hernández recently asked the U.S. to help the Northern Triangle in combatting the drug-related violence forcing children to flee to the U.S. In order for a plan like this to work, leaders of Central American countries must actively fight corruption in their offices and work with civil society organizations to spur human and economic development, improve security measures, and stop drug and gang-related violence. At the same time, the United States must revisit its aid policies in Central America, evaluate how effective they have been in the past five years, and work with civil society organizations to ensure funding for sorely needed programs such as training and anti-corruption plans. What would a “mini-Marshall Plan” entail? Named after Secretary of State George Marshall, the original Marshall Plan was a $13 billion program in the U.S. to help Europe recover from World War II. The initiative sought to rebuild war-ridden regions, remove trade barriers, revamp industry, and foster prosperity across the European continent. In the eyes of President Hernández, similar projects in Central America would create prosperous states better able to deter people from emmigrating to the U.S. and weaken the criminal groups that are causing people to flee. Since 2008, the U.S. has given $642 million to aid CARSI, a group that works to “assist law enforcement and security forces to confront narcotics and arms trafficking, gangs, organized crime, and border security deficiencies.” But the results of this project have been largely unsuccessful. In the wake of the unaccompanied children surge, the U.S. Department of State acknowledged “the continued expansion of national and transnational gangs creates communities of fear where gangs are effectively in control.” To date, the Northern Triangle is twice as dangerous for civilians as Iraq was during the war. Honduran Foreign Minister Mireya Aguero de Corrales has publicly said that U.S. security efforts in Latin America are not working because the draconian U.S. drug policy has exacerbated violence by embarking on costly, and often violent, punitive measures as opposed to pursuing decriminalization. Drugs are still in high demand in the United States, as well as across Europe and indeed, much of the world. The illegal growing and trade of illegal drugs is so profitable that cartels have become entrenched in a war against each other and local authorities. They fight over territory, profits, and control of the passageway that is Central America. A Marshall Plan-like program, as an alternative to current, punitive drug policies, would create job opportunities and a stable economy that would avert the recruitment of unemployed youth into gangs and drug cartels. President Hernández said that such a plan should help the Northern Triangle in the same way U.S. military aid has done in Colombia. Many believe that Plan Colombia, a U.S.-backed aid initiative from 1998, has helped in the reduction of the guerrilla rank-and-file thanks to the equipment and training of Colombian military. As the Colombian guerilla was decimated, an increase in security restored the faith of some foreign investors in the South American nation. There’s no denying that the Northern Triangle requires the help of its North and South American neighbors to improve its socioeconomic conditions. Guatemala, El Salvador, and Honduras are in the midst of security turmoil. The Triangle has become a passageway for illicit drugs coming from Colombia and Peru, while gang squads and drug cartels from Mexico are wreaking havoc to control the drug flow. President Hernández is right about holding the United States accountable for the crisis in the region. In July, he blamed the Obama administration for its reluctance to change its current U.S. drug policy, in helping create the conditions for the current child migrant crisis. Though Plan Colombia has been relatively successful in Colombia, it has created what is called a “balloon effect:” when a pressure applied in one area “pushes the air” into another area of less resistance (in this case, Central America). Case in point, as Colombia stifled (or squeezed) drug trade in its own territory, drug cartel operations have shifted to Central America. Ever since the U.S. declared “war on drugs” in the 1970s, Latin America has paid a heavy price, as countries like Colombia were almost pushed to the brink of political and social collapse due to the ravaging violence of the Medellín and Cali cartels in the 80s and 90s. Meanwhile, President Obama has asked lawmakers to enact a $3.7 billion package to speed up deportations, process asylum cases and for the creation of detention centers, among other initiatives. But as we have learned with CARSI, a “mini-Marshall plan” or multi-billion dollar initiative will be useless if it does not address the aftermath the U.S.’s War on Drugs has left on the region. The Northern Triangle must ensure effective anti-corruption programs. According to Transparency International’s 2013 Corruption Perceptions Index, Guatemala and Honduras rank almost at the bottom of the list as some of the world’s most corrupt countries. Of the 177 surveyed nations, both rank 123 and 140, respectively, while El Salvador ranks at 83. The deplorable security system in Central America is such that even criminals can control their illicit business behind bars. Gangs and drug cartels largely influence police forces in these countries with bribery and life threats. For this reason, these countries should work in tandem with civil society organizations to oversee budget allocations in security improvement, infrastructure, law enforcement training, salaries for officers, and social programs targeted to the population such as drug prevention and public hearings that could foster trust among inhabitants and the authorities. It’s imperative that effective policies and aid work in tandem at the regional level including the United States, otherwise a so-called Marshall Plan will not work while children and other vulnerable groups in the Northern Triangle suffer the consequences of useless policies that in turn add to a serious humanitarian crisis at the border. Robert Valencia is a New York-based political analyst and is a contributing writer for Global Voices Online.